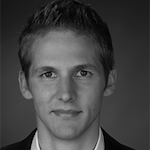 Moritz Jodeit is the Director of Research at Blue Frost Security GmbH. He has a strong focus on application security and his main areas of interest are vulnerability research, reverse engineering and software exploitation. Moritz Jodeit presented the results of his research at international security conferences like Black Hat Europe, DeepSec and OWASP AppSec. Recently he was awarded $100,000 USD for his submission to the Microsoft Mitigation Bypass Bounty program.